Travis Elborough’s Atlas of the Unexpected: Haphazard Discoveries, Chance Places and Unimaginable Destinations will be a delight for any traveller, be they of the armchair variety or an intrepid adventurer. 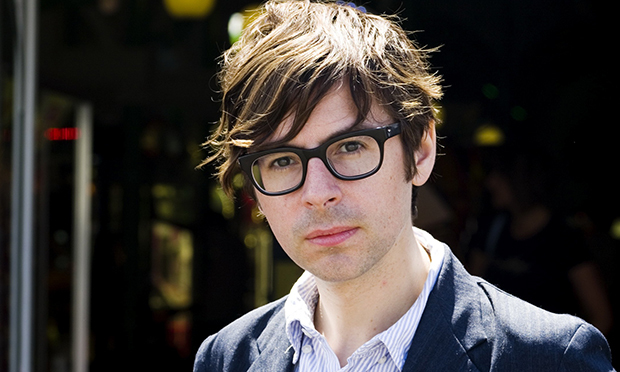 As much socio-cartography as travel writing, this collection of bite-sized chunks on weird and wondrous places the world over investigates the many varied ways in which people engage with physical space. The sheer variety of living arrangements featured in this book is bound to enchant. We discover a village built on floating reed beds, Henry Ford’s abandoned planned community in Brazil, a city in Russia focused entirely on the game of chess, and an island in Canada barely big enough for a single house. Underground and semi-submerged spaces figure heavily, from the familiar Shell Grotto in Margate and Lascaux caves in France to the tunnel town of Coober Pedy in South Australia, where people retreated beneath the earth several decades ago to escape extremes of temperature above; and Derinkuyu, the ancient underground city in Turkey (the description of which is prefaced by a reference to Stone Cave café in Dalston). Life at unusual heights is also prominent: we visit a town on stilts in Patagonia, a Chinese temple hanging vertiginously on a cliff face, and a community of tree-houses on Borneo. This handsome large-format volume is rich in photos and hand-drawn maps by Martin Brown. Its visual impact would have been even stronger had more of the photos been in colour, but the book is great for dipping into on a dreary autumn day; it would also make a nice Christmas gift for a footloose friend. 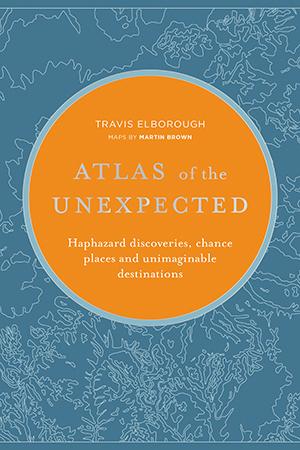 Atlas of the Unexpected: Haphazard Discoveries, Chance Places and Unimaginable Destinations by Travis Elborough is published by White Lion, ISBN: 978-1-78131-716-7, RRP: £20.00.